Today, Matt welcomes Karama, a.k.a. 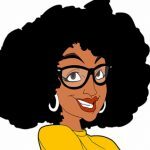 Theblerdgurl, a blogger, YouTuber, and internet powerhouse hailing from Brooklyn, New York. 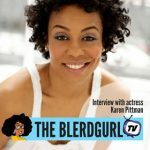 With Matt, Karama chats about the origins of Theblerdgurl and how it grew from its humble beginnings as a Tumblr blog to the full-fledged nerd-devoted website it is today. They discuss her childhood and how her upbringing taught her to think differently. 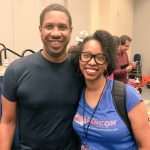 They discuss her many experiences at conventions and what it’s like to meet your idols, the culture of social media, and what it’s like to be an outspoken personality. And so from all things comic books, music, and television to her expanding brand, here’s presenting Matt Storm and Theblerdgurl.